The Institute for Development and Research in Banking Technology (IDRBT), an arm of Reserve Bank of India, has launched a 5G Use Cases Lab for banking and financial sector. “This is a soft launch. We have all ideas and plans in place. Actual work will begin very soon once we have equipment and other modalities ready,” A S Ramasastri, Director, IDRBT said at the formal launch held here on Friday. The 5G technology, along with blockchain, will be progressively adopted by banks, he said, adding: `“There is a need to focus exclusively on 5G and develop its use cases which will be taken up by this lab,” Ramasastri said. Amit Yadav, Joint Secretary, Department Of Telecommunications, Government of India said 5G had already arrived in the world and the department had already launched test beds for 5G use in the academia in Hyderabad, Chennai and Bangalore to develop 5G for Indian use. 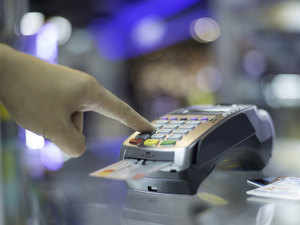 The use of 5G will change a range of technologies and applications including point of sale machines in the banking sector which were now using 2G . The Department of Telecommunications was collaborating with other departments for better preparedness and adoption of 5G technology, he added. Anjana Dube, Deputy Director General, Department of Financial Services, Ministry of Finance, said fintech was India’s strength in banking and 5G will have various applications in banking, financial services and insurance going forward. The 5G lab will develop and domesticate 5G use cases and set up a research and development experience platform for banking and financial services. It will also collaborate with various stakeholders including banks, government and financial institutions for 5G promotion and absorption of best practices. According to a white paper on 5G applications in banking and financial sector, which was released on the occasion, the BFSI sector will need 5G for applying Artificial Intelligence (AI) and for enabling Government of India’s social inclusion agenda.